Hopes that children are equipped with high self-esteem to enable them to go to live happy and fulfilled lives. RSE is an integral part of SPHE and must be taught in this context. It provides structured opportunities for pupils to acquire knowledge and understanding of human sexuality and relationships through processes that will enable them to form values and establish behaviours within a moral, spiritual and social framework. In particular, it addresses the meaning of human sexuality, relationships, growth and development, relevant personal and social skills and aspects of parenting. To help young people develop healthy friendships and relationships. Relationships will be a key part in the SPHE programme. R.S.E also deals with the issue of human growth and development, human sexuality and human relationships. In the Senior cycle (5th and 6th classes) some very sensitive issues will be dealt with but the children will have been prepared for these issues by the cyclical nature of the syllabus. Each year their awareness and knowledge is growing and expanding and they now have reached a very important stage in their development. 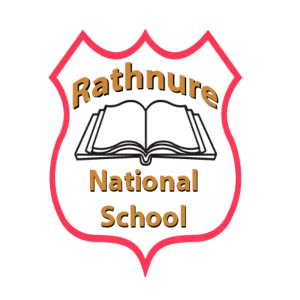 The R.S.E programme is delivered to all classes throughout the school using the “Stay Safe” programme from Junior Infants to Sixth Class, and the “Busy Bodies” programme for 5th and 6th classes. At the beginning of each R.S.E unit, parents will be made aware of the type of vocabulary to be used, however, this is not an exhaustive list. Parents will also receive links to both Stay Safe and Busy Bodies programmes whereby they can go online and view the programme content beforehand. When appropriate, worksheets for home/school links will be sent home for parents to discuss the content with their child. The R.S.E. Policy is supported by the provision of the Stay Safe Programme and our Child Protection Policy. These all come under the “umbrella” of the SPHE Policy. If an outside speaker is used, the class teacher is responsible for making them aware of the school policy and that the teacher will sit in during the lesson. Boys and girls will be taught together. As part of the Science Curriculum “the identification of the parts of the human body is included at each level of the primary programme” and “children will be helped to develop ideas about the human body, growth, movement and breathing… the development of children’s ideas about body changes and reproduction should be done in accordance with the school’s policy on SPHE”. All questions answered will reflect the parameters of the curriculum. Questions to the teacher may be written or oral within the group setting and answered within the boundaries of the curriculum and policy. Any questions asked by the children that are judged to be inappropriate, the teacher will refer the child to their parents. The school cannot guarantee confidentiality if a child asks a question of a personal nature to themselves or discloses personal information. ( Refer to Child Safeguarding for further details). Our teachers have access to in-career development opportunities. Relevant teaching materials are provided. This policy was reviewed and ratified in October 2018 by the BOM, and implemented by teachers. As with all our plans and policies, parents have access to this policy on request. Review will take place again during school year 2021/22 or sooner if necessary.